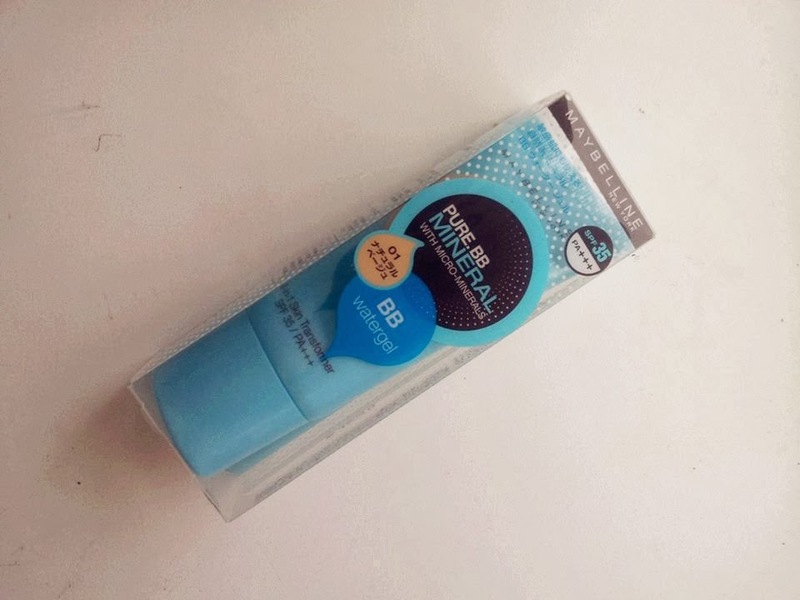 This is part of Maybelline's Asian line so it may be hard to get your hands on it if you don't live in Asia, but you can always purchase them online from YesStyle for £12. I've been wanting this for a while ever since I watched "Tested and Tried"'s video but sellers on eBay were selling it for up £30 when it first came out, like reallyyyyy?! I like how it Maybelline called it BB watergel rather than BB cream, which I think is very suitable for the product as its very hydrating and has a gel texture. 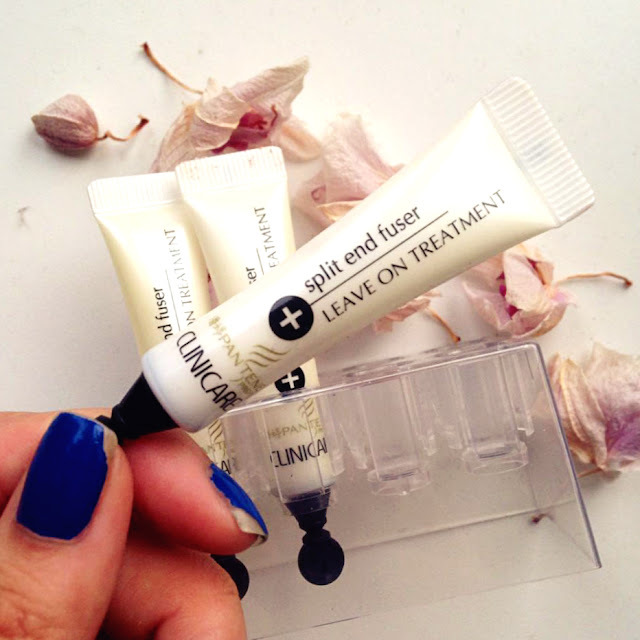 It comes in a 30ml size and the packaging is slim, this makes the product travel friendly. 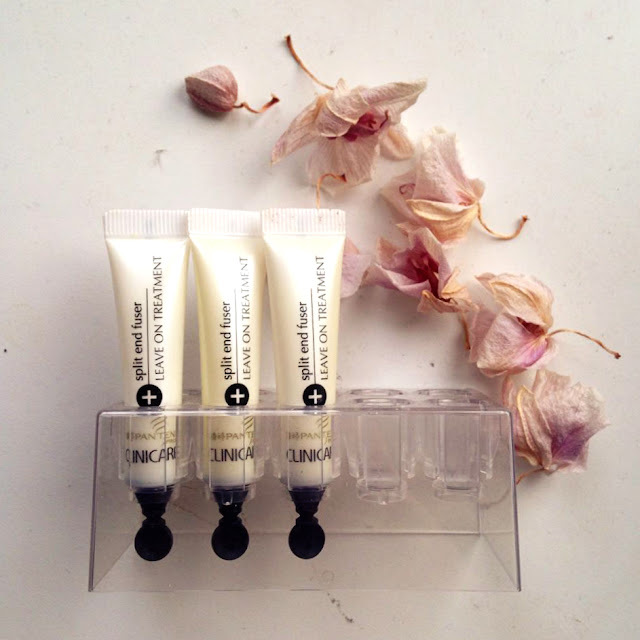 The BB cream does blends flawlessly with the skin, giving you a sheen dewy glow. The dewiness is very natural as its a sheen, so if any oils start coming out during the day you wont look super oily/greasy. 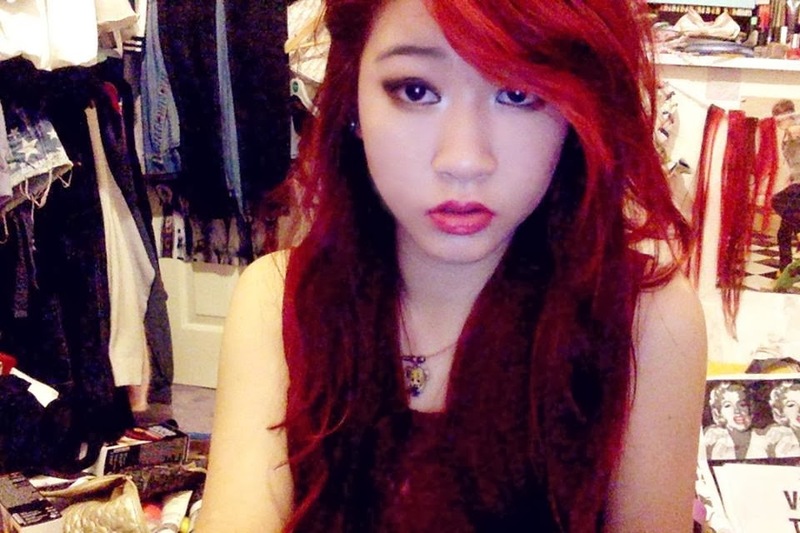 It blends in so well that it doesn't seem like your'e wearing makeup at all. 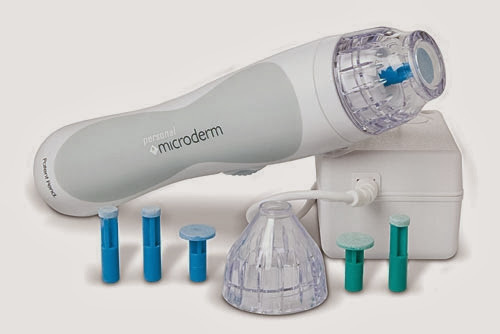 It does evens out skin tone, make it appear smoother "like baby skin" and slightly reduces the appearance of pores. 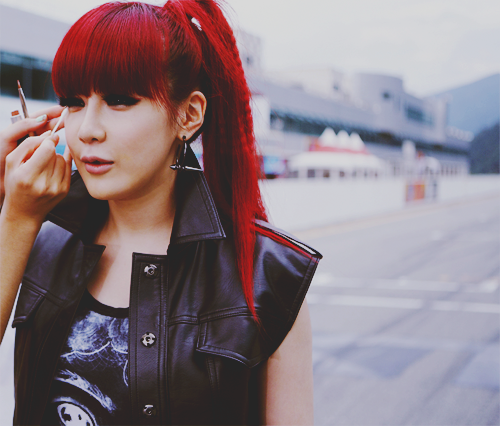 You can keep people wondering how did you get your complexion so flawless ay. ;D However, for people like me that have acne scars I feel that the coverage is average, as scars and acne will still be visible. Even though you can build it up for higher coverage, the coverage is just medium at the most. This product would have been perfect if it had a med-high coverage. The BB watergel is only available in one shade which is a down side for people with tanned or dark skin. I really do love this BB water gel as the texture is unique and it gives your skin such a natural healthy complexion. You will need to use more product than other BB cream though as it does absorb and disappears into the skin very quickly. I find that by the end of the day some of the BB watergel has worn off, so you will need to reapply it. 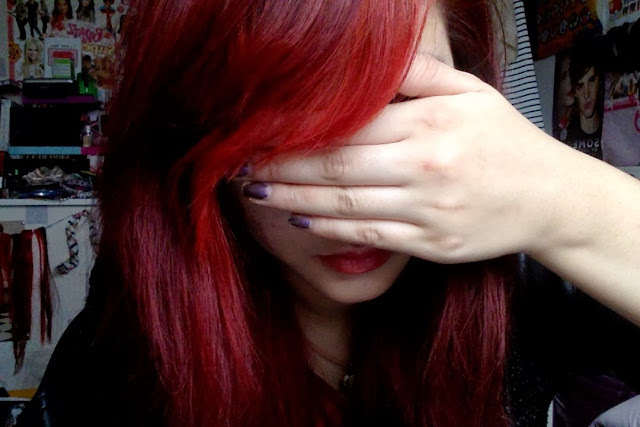 In my red hair dye post I briefly mentioned working on a project, by the title of this post you pretty much know what its about now. ;D So yes, I will now be painting League champions and making speed painting videos, at least once every month. To start off this "project" I painted my fave champion MF. ^^ I know some of you guys may want more, but due to my a-level subject choices its really hard for me to fit it into my scheduled already, as I do time consuming and heavy revision required subjects. >.< But for League its worth hahaha. *Some have people mentioned to me to post it on Reddit, i'm not really sure how to use Reddit. Shameful but in all honesty, I didn't even know what Reddit was until one month ago opps! 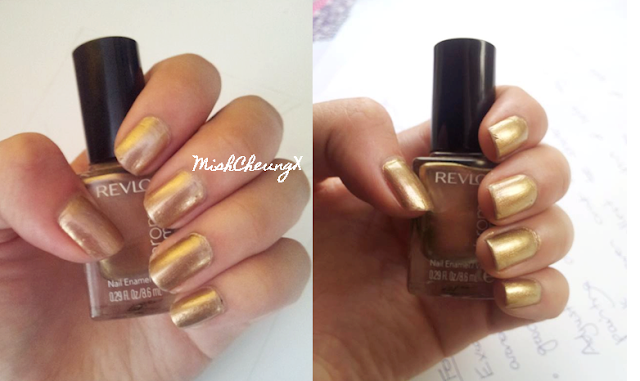 >< This is how you know that I spend majority of my time revising. I kid that's a lie, I do revise though. 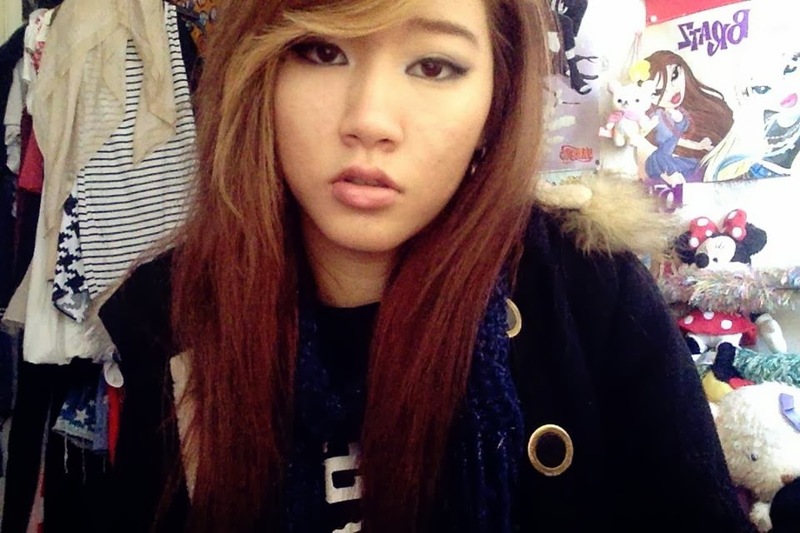 :') So guys feel free to post it on Reddit if you want xDD. Finally December! This year has passed so fast! :O 30 more days till 2014, can you believe that? 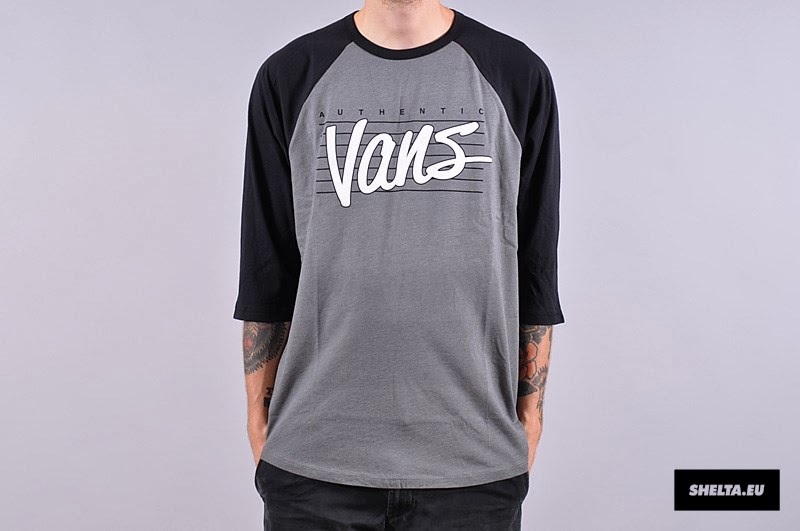 3) Vans Authentic Raglan Shirt - Saw this in the Vans shop with my boyfriend and was like wowowow I need this in my life lol. These are a few things that I can think of at the top of my head. xDDD I might add more onto the list later if they come into mind. I purchased these from Watsons (I think it was about HK$100), as my hair is ridiculously dry and damaged from bleaching ;___; It comes in a pack of 10 x 5ml tubes. I didn't really know what to expect from these as it is said that you can't fix split ends/bond them together once it's split - the only way is to trim it. 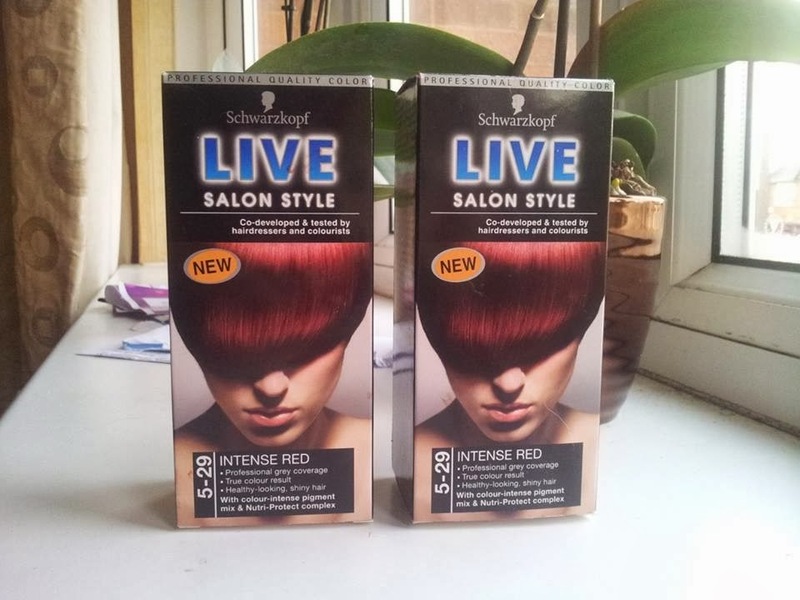 But desperate from cutting my hair, I gave these a try. 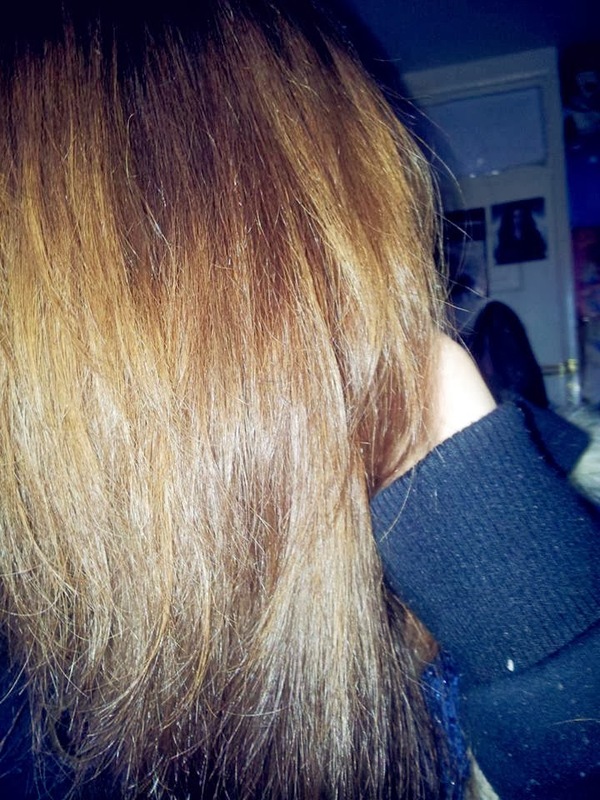 Now Pantene claims that this can heal split ends temporarily to make its appear healthy and new. The product is a lightweight cream that has the typical Pantene scent. 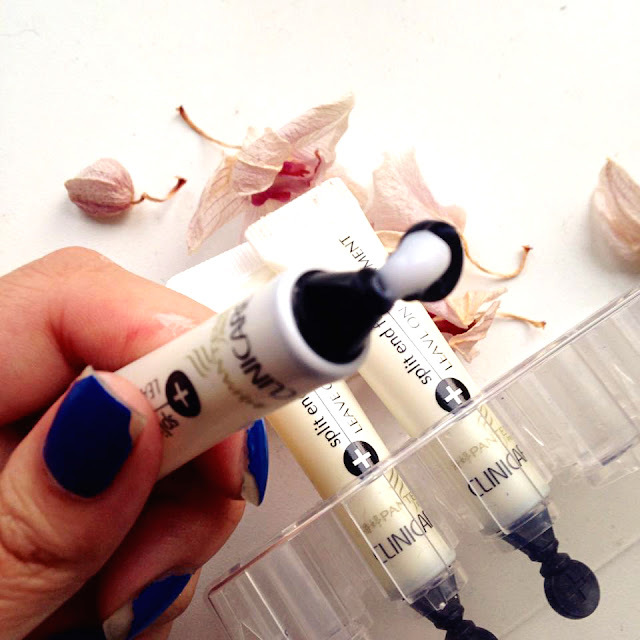 I find that a little goes a long, I usually am able to use each tube two or three times. The tube is small so it great for traveling too. I apply this to the ends of my hair as thats mainly where my split ends are and leave the treatment on. It does not require you to rinse it off. After using this, it made my hair feel and look a lot more healthier and softer. 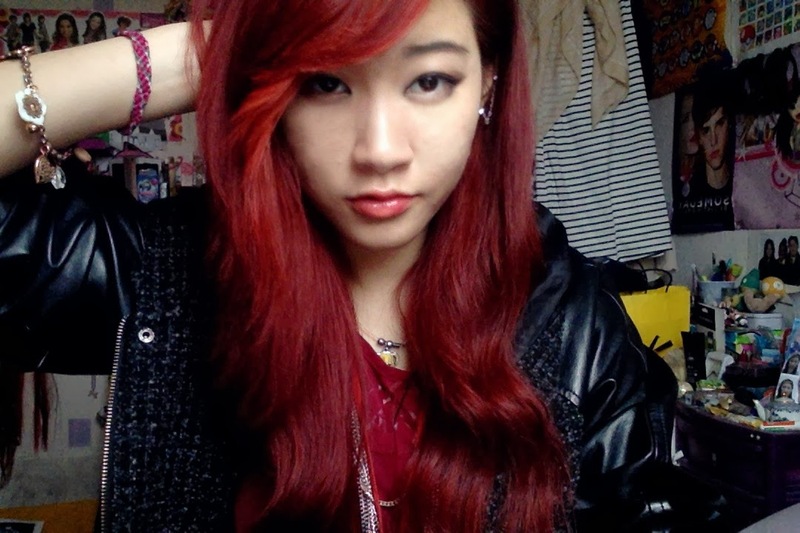 However it didn't really help to "fuse" my hair together. 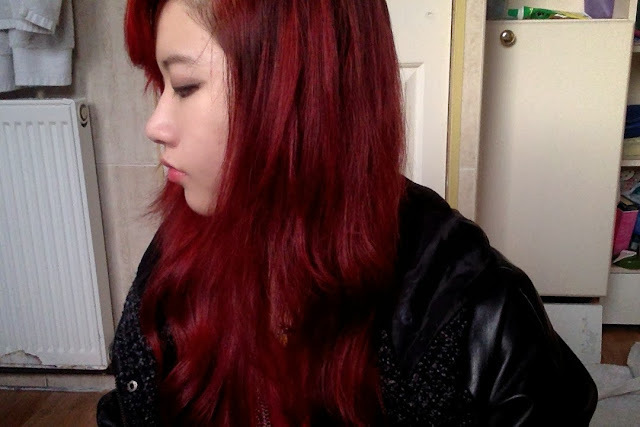 Sadtimes T__T" but it's still a lovely treatment for my ends (just doesn't actually fuse split ends). I used these after getting my haircut (i finallllyyy gave in ><) and found that these helped to prevent split ends and hydrate them very well. If you're looking for healthy ends then yes I would recommend it, if you're looking for a split end "cure" then no. Overall its still a good product. 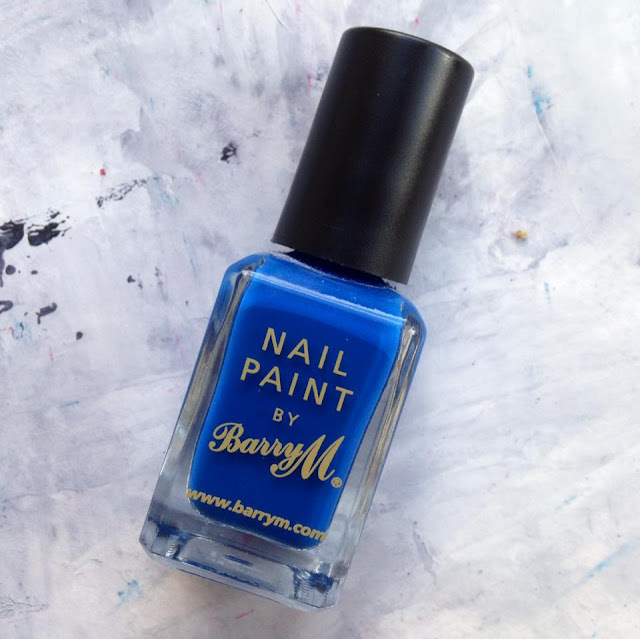 This is the perfect Cobalt Blue i've been looking for! That classic clean sharp blue. Other drugstore ones had some sort of green tone to it. Yes, i'm picky about nail polishes too. Probably due to me being a Fine Art student and the necessity of getting that perfect shade is crucial. :') Cobalt blue is a great alternative to red, it still has that bold and classy vibe, except it's slightly more edgy. Definitely a colour that stands out and is attention grabbing. I used 2 boxes since I have medium/long hair. 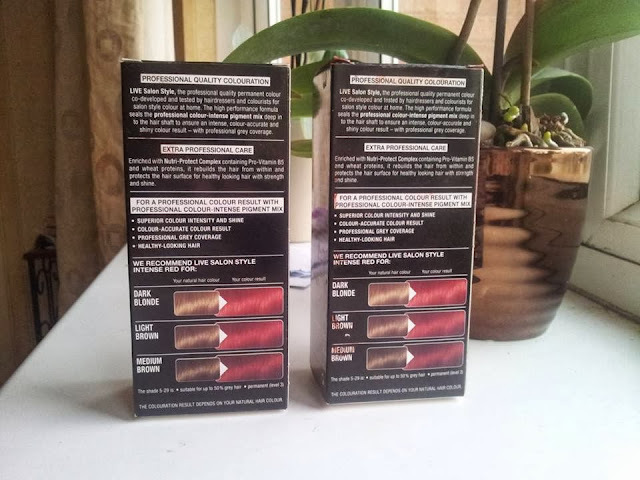 The box dye contains everything that you would expect from boxed dyes. Before dying my hair I had brown dyed hair with a bleached base (since I was blonde before ^^) so my hair will absorb hair dye colour easier due to the bleach. Note that the results may not be the same for you due to your current hair colours etc. Also your computer display may make the red look slightly different, because I know on Macs the red does look a bit brighter than it actually is. This picture is for a comparison. As you may notice/know that before it dyed it I had a blonde fringe so the blonde areas turned out super bright red. 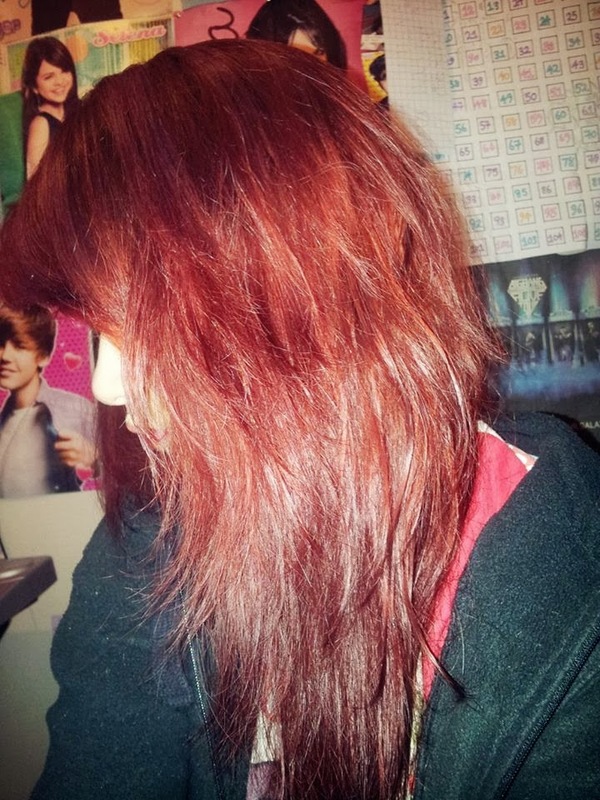 Where as the areas where my hair is just dyed brown turned out a nice dark yet vibrant red colour. 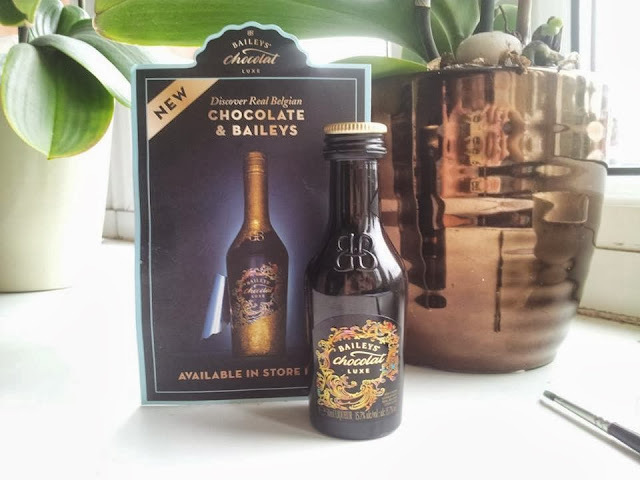 Today I will be reviewing something a little different, okay maybe very different to beauty products haha and that is a drink hahahaha awks... ^^"
So todays I received a sample of Baileys new creation, Baileys Chocolate Luxe. I just had to write a review on it because it is one of the most luxurious and spectacular drinks of the year! The combination of the Belgium chocolate and Irish cream is perfectly beautiful! The flavor is indulgently rich, yet the flavors of the whiskey, cream and chocolate don't over power each other. The hint of whiskey enhances the flavor of the chocolate. 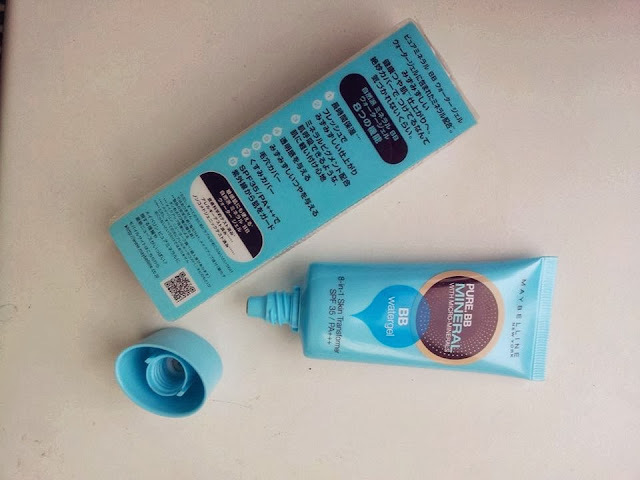 Back in July I posted a blogged reviewing Ginvera's Green Tea Refreshing Brightening Cream now I am going to review their Green Tea Aqua Whitening Cream With Oil Control. 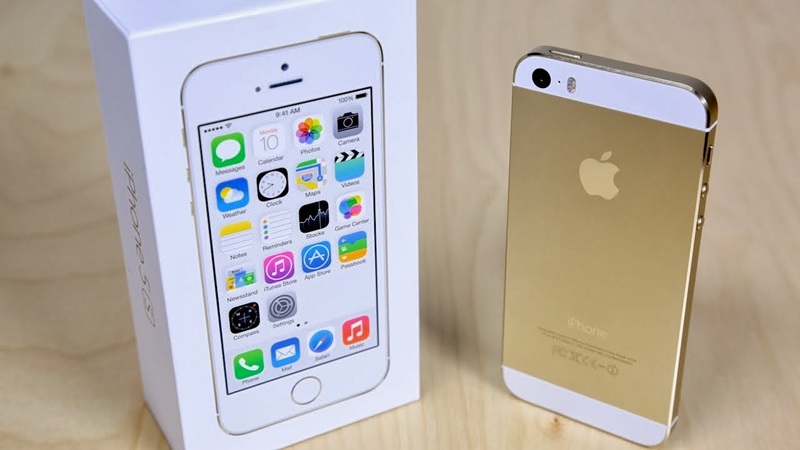 ^_^ So to review this product in more detail ill split it into different categories. First thing you will notice when you open the product is the smell! Its sooooo nice, light and sweet. The cream gives a really nice clam smoothing feel. Its ultra light weight yet it hydrates your skin very well.The cream spreads well and absorbs in the skin quickly, but leaves little residue behind. The one thing I really love about this product is that it gives a nice radiant dewy glow so your skins looks really fresh. But if you have oily skin then after 2-3 hours your skin may start looking greasy. Whitening is the main factor that I brought this cream for. Ginvera claims that it "lightens spots and acne scars, prevents the formation of pimples and skin becomes more fairer after regular use" However I didn't see much whitening effects. The cream itself is super white, so it slightly lightens the skin and evens out skin tone. So the cream "whitens" the skin with a thin physical barrier (the little residue left behind I mentioned before). As I have load of acne marks, I did notice them fade a little, as for prevention of spots I would say no as I still get them regularly. Although the product is recommend for all skin types, I personally think its more suitable for people with normal skin. As the hydration is quite rich, sometimes it makes my skin more oily than it already it, so my make up ends up sliding around the place.Also £15 for 40g is a bit pricey and you can find other products on the market that offer more product, have functions that work more effectively etc. So overall I think this product is quite standard and wouldn't recommend it, especially not for oily skin people. However if you have dry skin and don't mind spending extra money on skin care then you might like this give this product a go as it does moisturize very well. 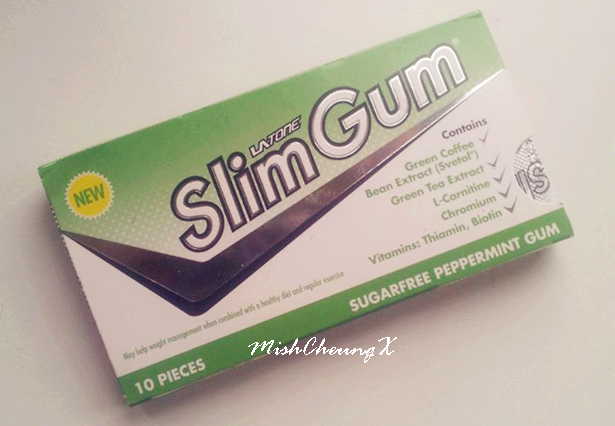 LA Tone Slim Chewing Gum Review - Does It Work? The purpose of SlimGum is to help reduce your appetite so that you eat less (thus weight lost/management) with its ingredients, while promoting fat in the body to burn. The gum has minty taste which will fade after 5 minutes of chewing. The gum has a rough texture, as you can see in the photos above. But the major question that everyone wants to knows, is weather it actually works or not?. The answer varies on numbers of conditions. 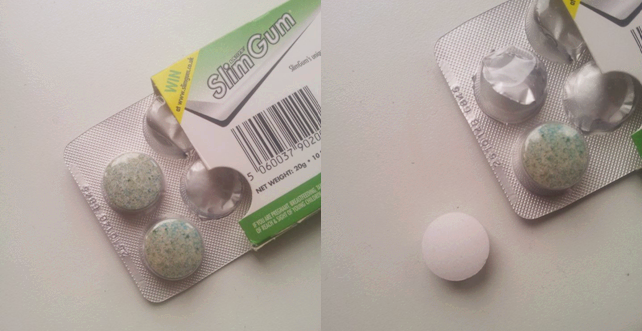 If you were depending on the gum alone for weight lost, the ingredients in the gum aren't high enough for you to see results in a few days or weeks time. You would need to chew these over for 1 month or more, which can be costly as it recommends you to chew 4 per day and you only get 10 in one packet. Of course how much you chew per day can alter the results too. If you were to chew this along with a diet and exercise, it can be effective as it reduces your appetite. However you could also reduce your appetite with normal regular chewing gum which is a much cheaper alternative. So does it work? Yes it can. But I personally think it's pricey and not worth the money as it offers the same effects and results that normal chewing gum would. The Garnier Light range isnt easy to find in UK, since Western people tend to prefer getting a tan rather than preventing to have one lol. (aka being pale). So purchasing them online is the easiest option. ^^ This is available on eBay for £2.95. Some reason these are travel size, it wasn't just from the seller I brought it from, but other few sellers too. Note that they don't tell you it's travel size, instead that say the size "15g". LOL Like how am I meant to know what size 15g is? xD They probably do sell the full size product, somewhere lol. The cream itself is lightweight and non-greasy so it's great for summer. However it does leave residue behind which is the down factor. Moisturising wise, I would say average as it does moisturise the skin a little. It would probably moisture dry skin more. As for the main purpose of this product "lightening", when the cream is applied, it leaves a white cast like sunscreen. So it helps give off a more dewy radiance appearance and lighter looking skin. But for the actual lightening itself, I would say no. Gariner says the cream has lemon essence which helps to lighten the skin overtime. Using it for a month, I haven't seen any difference whatsoever. The SPF 15 does help prevent darkening a little. Would I purchase this again? No, simply because (in my opinion) the cream is more maintaining your skin colour if its pale already. It wont have much effect if youre trying to lighten your skin. But since the cream is pretty inexpensive you could give it a try, as the result may vary for you. ^^ So have you tried any products from the Garnier Light range? Inspired by Youngjae's and Daehyun's monochrome graphic shirts. 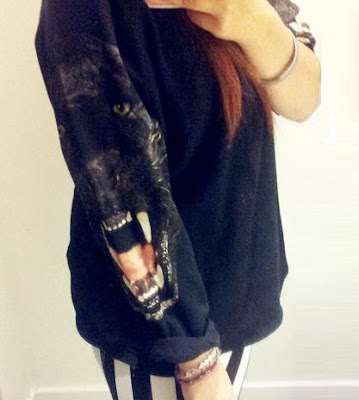 Inspired by Himchan's with his black shirt and stripped shorts.